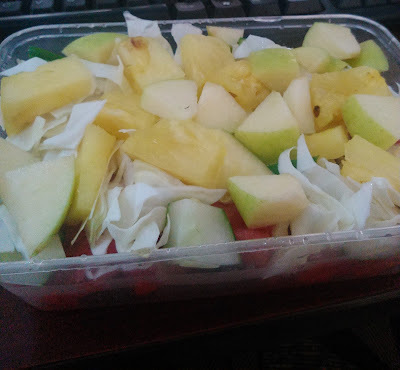 Apple, pineapple, watermelon, cucumber and cabbage. It was yummy as I took it with my chopsticks. I love the sweet parts and did my best to savour every moment of it. It is good that I am following good schedule and I hope I can be better getting to my goal weight soon. I forgot to weigh in on Weghtless Wednesday, so I did this morning and it was 165.3lbs (75kg), blah blah blah. Not good, but I took it in. 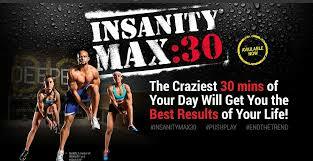 I am starting my workout schedule tomorrow Saturday (which happens to be my treat day too, I will likely skip it because I had eaten so badly this week) and God helping me it's going to be with Insanity Max (Shaun T). I have read reviews and I think I really want to do this. I am ready to push till something happens to my weight positively. For the information I am tweaking my goals, I am no more thinking of 155lbs at the end of August but before the next BLC Round 29 which is mid September, I know I can do this!!! So, even if I cannot get to 155lbs then I should at the 150s. Do you love your fruits? How do you take them?